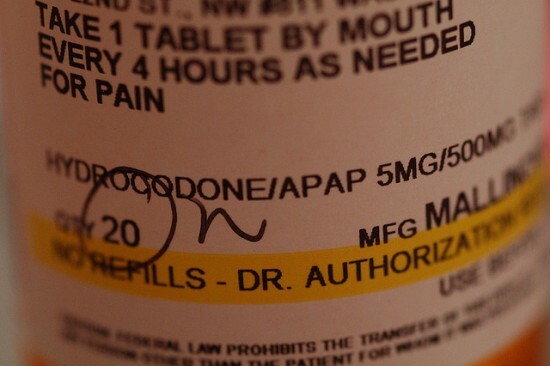 In her fourth in a six-post series for Points, Siobhan Reynolds reviews the policies and judicial precedents that leave doctors unwilling to prescribe opioids to patients in pain. Reynolds focuses in particular on how federal control of the medical profession undermines the political structure of the United States and the opportunities for freedom and experimentation federalism provides. In an earlier blog post I suggested that I would explain the reasons why physicians are loath to treat pain with opioids despite their noted efficacy; I’ve mentioned that medical professionals don’t like to admit that they are afraid to prescribe these medicines, preferring instead dole out far more dangerous non-controlled drugs on the grounds that opioids are “bad” in some special way having nothing to do with their actual utility or safety profile. In this post, I will examine how the profession developed such a seemingly irrational blind spot where opioids are concerned. This blind spot has its roots in the interpretation and enforcement of the Harrison Narcotics Tax Act of 1914 and the more recent Controlled Substances Act (initially passed in 1970). Better read that fine print! transfer was accomplished by use of a prescription and occurred in the course of the physician’s professional practice; the law allowed duly licensed practitioners with DEA certificates to freely prescribe controlled substances in their capacity as physicians. All of this sounded fine to me until I looked at court cases through which the Controlled Substances Act (CSA) has been interpreted. These cases have determined the enforcement practices permitted under the CSA. In cases stretching back to the early part of the twentieth century, courts have interpreted the CSA to prohibit providing controlled substances to addicts as part of medical treatment. Doing so is by definition outside the course of professional practice, so treating addicts with pharmaceutical opioids is “illegitimate.” By the reckoning of the government – including the federal judiciary – an “addict” is anyone who takes opioids on a regular basis, whether s/he suffers pain or not. 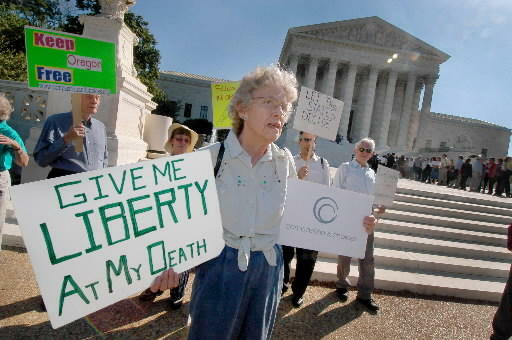 the practice of assisted suicide, was asked to address the extent of federal control over medical practice. On November 9, 2001, then-Attorney General John Ashcroft issued an Interpretive Rule, known as the “Ashcroft Directive,” stating that physician-assisted suicide as permitted under Oregon’s Death With Dignity statute was not a “legitimate medical purpose” and that any physician administering federally controlled drugs for that purpose would be in violation of the CSA. The state of Oregon, a doctor, a pharmacist and several terminally ill patients took Ashcroft to court and obtained a permanent injunction against the Rule. The Justice Department persisted in its assertion that government attorneys could override the state of Oregon in deciding what was and was not the “legitimate” practice of medicine, no matter what the will of the people of Oregon. Time and again, the courts affirmed that Oregon, and not the feds, was the proper regulator of medical practice and that state officials, acting under their police powers, determine what is or is not the lawful practice of medicine. Without the tensions created by the two loci of power, the very political structure of the United States would be lost. During this important litigation, the DOJ prosecutors made a stunning admission: they had been regulating medicine in the states by way of application of the Controlled Substances Act for the previous 50 years, overruling the sovereign power of the states as concerns the treatment of pain with controlled drugs. Siobhan Reynolds with the embattled Dr. Stephen Scheider, for whom the Pain Relief Network advocated. federal courts, including the Supreme Court, to apply this reasoning to cases involving the prosecution of pain-treating physicians have been entirely futile. 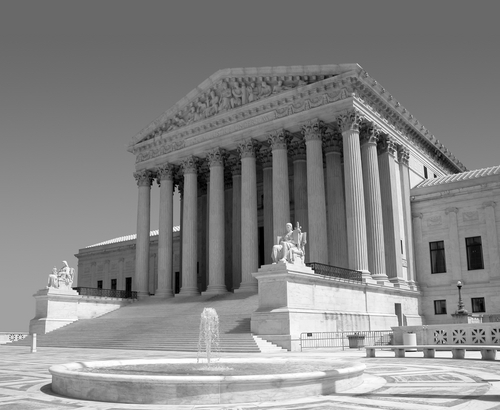 Despite the government’s admission on the public record that it has been acting without authority to prosecute physicians who treat pain, the courts will not affirm recent unambiguous Supreme Court precedent. Judge Jones’ principled outrage notwithstanding, the simple truth is that the federal government indeed possesses the power to define what constitutes the legitimate practice of medicine. The authority they enjoy simply hasn’t been granted them by the U.S. Constitution. The feds exercise this power each time they indict and convict a doctor of serious crimes for practicing medicine in a manner inconsistent with a prosecutor’s subjective views. Many ethical and caring physicians sit in prisons all over the US, serving what amount to life sentences due to this unauthorized but widespread exercise of federal power. Therefore, the problem remains unremedied, pain treating physicians are sitting ducks, and the pernicious effects are ongoing. Through the imposition of the private opinions of federal prosecutors, stretching over many years, the federal government has perverted the practice of medicine beyond recognition, in effect criminalizing the practice of ethical pain management. The power of individual states to regulate the practice of medicine within their borders has been compromised; the mandate of the state’s medical boards to secure the health and welfare of their citizens, rendered inoperable by the overwhelming force of armed drug task forces, which are led and largely financed by federal agencies. State medical boards shoulder some blame, as well. The ongoing federal power grab has been in force for so long, the medical boards generally regard the DEA as expert in determining whether a physician has acted criminally and defer accordingly. Precedent Schmecedent: The Supreme Court Does What it Wants! On June 16th of this year, the US Supreme Court reaffirmed its stated, if not actual, dedication to the importance of the Ninth and Tenth Amendments to the U.S. Constitution in Bond v. U.S. 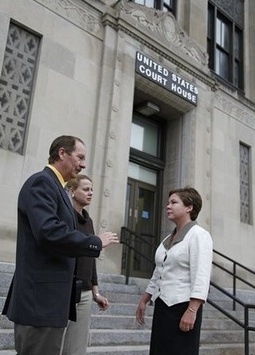 The Court agreed with criminal defendant Bond’s assertion that she has standing in federal court to challenge, on Tenth Amendment grounds, her conviction on a federal statute – that individuals, and not just states, have an important and self-protective stake in the sovereignty of the states. Unfortunately, it has been my sad experience that this sort of jurisprudence is more a matter of show than substance. The Supreme Court will issue all kinds of strong opinions in defense of the rights of individual Americans but will, as a practical matter, refuse to apply those decisions to future cases and refuse to overturn lower courts when they too fail to apply them. What used to be the United States’ political structure – federalism, which decentralized power in order to leave the citizenry (and medical practice) as free as possible – has been subverted entirely: the laboratories of the fifty states have become fifty ways for doctors to loose their livelihoods and their freedom should they prescribe opioids for the treatment of chronic pain. Considering the legal realities, the medical profession’s “irrational” blind spot now appears to be a kind of institutional savvy. Thanks for this informative overview of the underlying politics of the ongoing struggle with opioids! And thank you, Siobhan, for all you have done for the community in this cause. I have recently heard several people say the irrationality of the government is amazing and predictable when it comes to drugs. Often there are glaring inconsistencies between the application of law and interpretation of facts in drug cases compared other types of cases. It is like a sort of spell comes over otherwise rational and learned officials when the issue turns to drugs. We get a sense the normal rules of reasoning just don’t apply when opioids are involved — it’s all about STOPPING the use of them, regardless of the rights of people or the law. The history of the drug war is full of examples of this kind of special suspension of the rules of reasoning and the constitution. With a straight face, they simply look at us and tell us it doesn’t apply, and behave as if everyone should understand why. Nobody seems much to question it. It may be interesting to look at what was going on in the years prior to the Harrison Act. This time would be interesting because it was before the artificial demonization of the poppy occurred, and people were still able to argue both sides of the issue without being pegged as insane for not accepting the official line on opioids as factual. That official line has been with us for four generations now, so it is hard to get anyone who hasn’t been educated on the topic to understand it is all nonsense! We are fed these exaggerations and distorted beliefs from childhood forward. Although I believe attempting to understand what drives the invisible force today by simply determining what drove it at turn of the twentieth century would be misleading, it would be a time where we should be able to see identifiable interest groups with various stakes in the game. Of course, those interest groups have likely evolved and changed (or, have they, so much? ), but there should be some insight available in there somewhere. The Harrison Act came about before the medical profession was very rich and powerful. It was before the mega-industry that surrounds health today was born. It was a time of “patent medicines” which gave people relief, and largely impotent doctors who had neither the theory nor technology to do so. Who were the players in the game then? What do they have in common with today’s stakeholders? Who is behind this? And why is it so important to them that they will subject so many people to this much misery and injustice? Who wins and why? Oh! I forgot. Is it because the government is worried about my health? That’s it exactly my friend! You’re a peon (not at least a millionaire) and they’re worried sick that you might manage to keep enough of your health to continue demanding that the government honor its commitments to you and treat your condition – correctly. Can’t have that! The government prefers to hand out money only to the deserving wealthy corporations and the people who own them – and who own the government itself. They just can’t stand the thought of handing out money – ANY amount of money in any form, including treatment – to someone who actually needs, is owed and deserves it! Indeed, step by step, initiative by initiative, skewed research study after study, complete with powder-puff interviews of Nora Volkow in the NYTimes – the propaganda machine is gearing up into a flat out frenzy – sort of fascinating in a sickening way. The latest White House Drug Strategy is an abomination for pain patients and demonstrates a disgusting ability to disregard decades of research that strongly predict the situation of under-treated chronic pain and abandoned patients will indeed get worse, if that set of initiatives is set in motion. Asking docs to take time for conferences, pay extra for special licensing, endure much more intense law enforcement scrutiny… and all with absolutely no assurance it will protect them in any way. Good luck with that. They might as well subtitle ONDCP’s latest effort, “Prescription for a Pain Crisis” – ’cause it is. I’m afraid you’re right, Alex, and “getting worse” at this point means there will be no more pain treatment AT ALL. It’s very close to that now. The DEA is already piling on unlegislated pseudo-regulations that no medical board or even a single medical doctor has ever seen or approved, just to add ever more expense to the specialty, I suspect, and to pile ever more financial and other hardships onto already overloaded pain patients. We’re in constant danger of losing ALL treatment as it is, and more often than not through no illegal or even unethical act of our own – just a failure to “play the game” right. A single error – like having our meds stolen from a place we had thought them to be safe, having the insurance company decide not to pay for them this month, having a car break down and missing an appointment, or sometimes simply “failure to improve” sufficiently according to this particular doctor… those and countless other “errors” are all a compounding of our initial error: being injured and becoming Chronic Pain Patients in the first place!